Yo everyone! So lately, I've been trying to profile more reader stories from the M$M audience. Don't get me wrong – I love a good “retired by 23 with 7 million dollars” story from time to time…but I also like to hear from people that are crushing it in ways that are actually achievable and relatable haha. Today's story from Brandon Renfro is cool because he did something I reaaaalllllyyyyy wanted to do back in the day: bought a foreclosure for a killer price and then lived in it to save money. My wife and I got married about a year after graduating from college. We lived in a one-bedroom apartment in Texarkana for the first several years after we got married. I spent a large portion of my twenties in school or military training, so we weren’t rushing to over-extend ourselves with a mortgage payment. I did, however, buy a very small rent house about a year before we were married. I bought the rent-house so I could start building some equity even if I wasn’t going to buy a house for myself. It was an awkward duplex that had been converted from a single unit built over a carport. The units were very small, but it was cheap and had good cash flow. I knew I could reasonably rely on it to float the payments and upkeep. A friend of mine had owned it for several years and I was familiar with it from helping him with it on occasion. I had it financed on a 15-year note. For the first five years or so I managed it myself. I collected the rent, found renters, and took care of their issues. I learned a lot. Mainly though, I learned that I hated dealing with renters. I didn’t hate owning rental property though! I eventually hired a property manager and have never looked back. When my wife got pregnant with our first child, we knew the 700 square foot one-bedroom apartment had to go. Well, we had to go, the apartment being stationary and all. We spent several months looking for houses. I cared less than nothing about the aesthetics of the house but was very concerned with buying a house that we could use to build some net worth. My wife was mainly concerned with finding a home that would be a safe and secure place to raise our child. I was in graduate school at the time, so money was certainly a factor. We were able to find a few houses that fit what we were looking for but finding homes that fit our criteria and were in our price range was another story. What I initially thought would be a quick and painless process dragged on for months. Toward the later part of the pregnancy, my wife started to not feel very well. She ended up with pre-eclampsia and had to be put on bedrest. As though being pressed up against a deadline of a soon-to-be baby wasn’t stressful enough, now my wife would be stuck at home. About a month or two before the baby was supposed to come we finally decided on a house. It fit what we were looking for and was within our price range. Unfortunately, an offer was accepted on the house the same day we went to look at it. Time was getting close, and we were starting to worry. The next morning, I checked the HUD site one more time to see if any new listings had been posted. (The Housing and Urban Development site lists foreclosed homes that were originally bought using an FHA loan.) There had been, and one really stood out to me. It was in a neighborhood that I knew to be good and was listed at half of the average market price of homes in that neighborhood. I inquired immediately! There was some damage to the inside of the house but it was largely cosmetic. The realtor agreed to take me over there the next day. When we got there, I was surprised with how good the outside of the house looked. As promised, the inside was a wreck. The living room had some very cheap laminate flooring that was definitely not laid by a professional. They didn’t stagger the sections and it was buckled in just about every place it could be. It was also very scuffed up. They must have affixed sandpaper to the bottoms of their shoes for some reason. It’s the only logical way that floor could have been that beat up. Each of the three bedrooms was a different color. I imagine each of the adults in the house was given a room and they were competing to see who could mess theirs up the most. Again, the only logical way they could have come out as poorly as they did. There were a few holes in the walls, but they were just cosmetic problems that could be fixed. The middle “bedroom” smelled awful but I was pretty sure with some good cleaning and resurfacing it would be ok. The house seemed solid, just not very well taken care of. Offers must be submitted through a realtor. Make sure your realtor is familiar with the process. Some won’t even mess with it. The process can be finicky. They are notoriously picky about the paperwork and will kick an offer out for very minor issues. My offer got rejected for an administrative error. The realtor asked me if I really wanted to go through the hassle of resubmitting. Given that the offer was less than half of what I was sure the home would appraise for after it was repaired, I told her that I was. I’m glad I did. The offer was accepted on the second submission. We bought the home for $43,000 and spent about another $5,000 on materials. Once we closed, we worked on the house almost every day for the next three weeks. That’s easy to type, but it was a hectic three weeks. One day my father-in-law was there cutting some boards outside and a neighbor came over to check things out. He and my father-in-law started talking about the house, the issues it had, about our family, etc. The neighbor told my father in law that the family kept three very large dogs inside the house in one of the bedrooms. That explained the smell. He also said that the family who lived in it consisted of a woman, husband, and ex-husband. I think that single sentence is the best part of the story. Once we had lived in the house for two years, we refinanced and used the equity to buy rental property. The comparable homes in the neighborhood (very homogenous neighborhood) had a market value of roughly twice what we had spent to purchase and repair ours. Our home appraised for $97,000. We had also been paying about $800 per month toward our $43,000 loan. That gave us a good amount of equity. Using the cash from the refinance allowed us to purchase two small properties! The rent from the properties we purchased would cover all expenses (mortgage payment, insurance, taxes, repairs) for all three houses. This was a big turning point in our financial condition. We moved out about a year later when I started another job that wasn’t in Texarkana but kept the house to use as a rental as well. 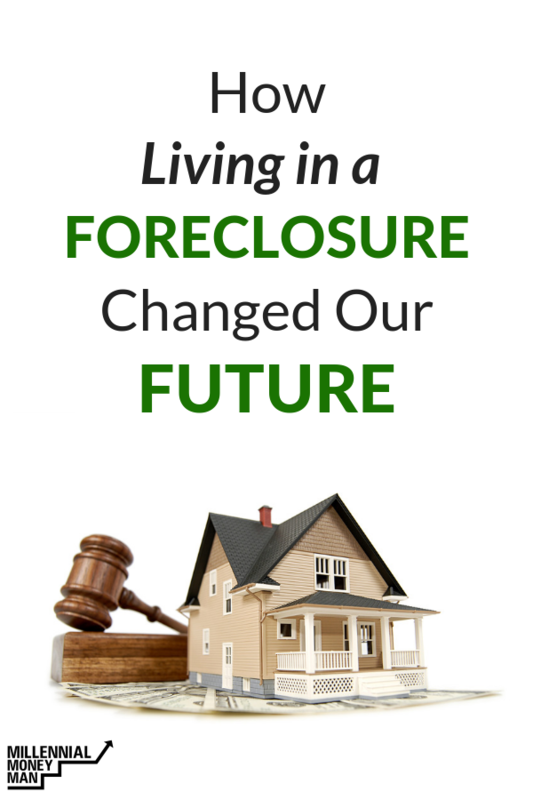 Buying foreclosures for flipping gets all the attention, but repairing a foreclosure to live in and use the equity to buy rental property worked very well for us. Those three properties now generate roughly $2,000 per month in rental income and we spend about half of that on the properties expenses. Brandon Renfro is a fee-only financial advisor and Assistant Professor of Finance at East Texas Baptist University in Marshall, TX. He teaches courses on investments, economics, personal financial planning, corporate finance, international finance, and money and banking. My husband and I bought a short sale when I was,pregnant with my 5th child. Our family thought we were crazy for buying the dump. It was in a great zip code especially for schools. We spent two years there fixing it up. We made $125,000 profit when we sold it. Then we moved to a different part of the state where the market was still low. We bought another fixer upper and it is now our dream home. I am so happy we bought that first short sale! That is a great story. A lot of folks are afraid of doing the hard work to get a property up to snuff. But seriously, where else could you get a ~100% ROI? With repairs, you were all in $48k and then refinanced for $97k…awesome. I’m curious how many people may have thought about buying that home but didn’t because of the “work” that it needed. I think this goes to show that there are still opportunities out there if you are willing to search and apply some elbow grease! We (the kids) did this in 2009 when we bought a foreclosure for our parents to live in. Family effort to fix it up and it’s the only way they can afford to live in our relatively high cost of living area on their fixed income. Best thing we ever did together for them. The house has doubled in value, but the mortgage amount has barely risen, thanks to California’s Prop 13 which caps property tax increases to 2% a year. If you think about it, they are living in a house which would rent for 2.5x what they pay in mortgage payment, and the property taxes are half of what they should be. It was a great deal and well worth the extra paperwork and hassle. What a great story! This shows that if you put in the work you will get rewarded. Even if you don’t get rewarded with money, you will learn a lot of invaluable lessons!